Our Cash Receipts Module gives you the detail you need to anticipate, track and report incoming payments. Drill down to the level of information you need without aimlessly searching the system for it. Auto/Mate gives your accounting office convenience and peace of mind. 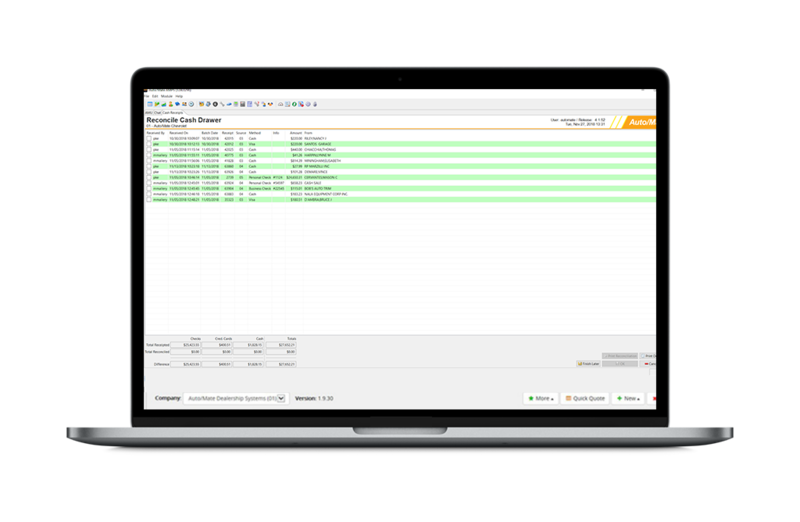 Track and create cash receipts for service, parts and sales. Generate and archive a copy of every cash from any department. We simplify your accounting processes while giving you the capability to create and track important forms like Form 8300. 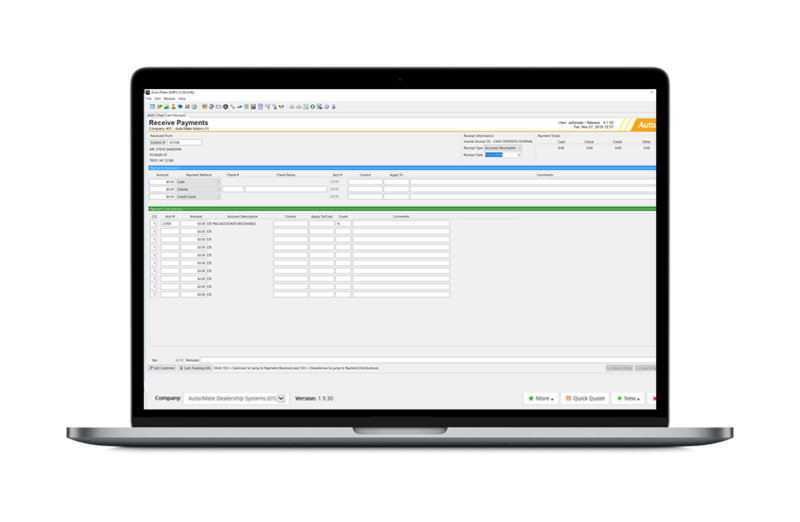 Cash Receipts handles single or multi-rooftop dealerships with the capability to produce a single statement for multiple locations. Think about the amount of time you’d be saving now that you don’t have to create one statement for every location. 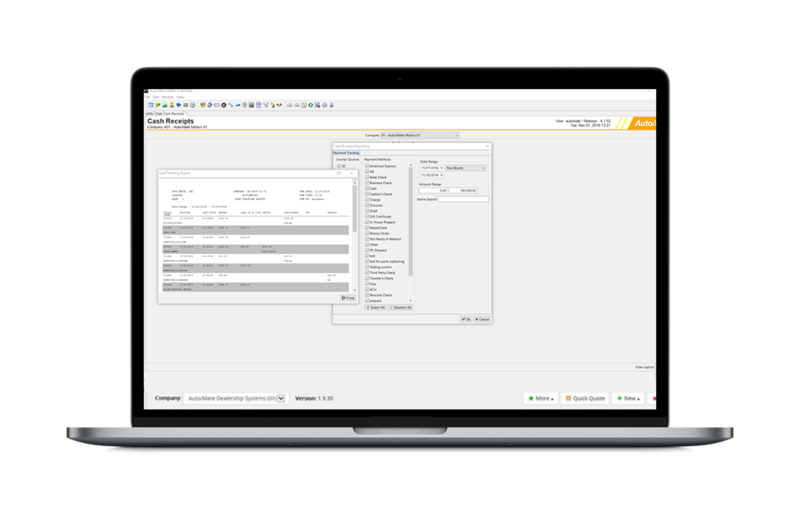 We make it easy for you to monitor your receivables by listing them all on one screen with the ability to filter based on important criteria. Your reconciliation reports are generated in a PDF format and they can be archived digitally or you can print them out — whichever your dealership prefers.